Yo-Kai Watch is really taking off in Japan. Level-5, the same studio behind the likes of Ni no Kuni and Professor Layton, started up this shonen manga, game and anime line from scratch. It's been a resounding success. It's about a young boy who turns into a ghost hunter thanks to the Yo-Kai Watch he finds in the woods. 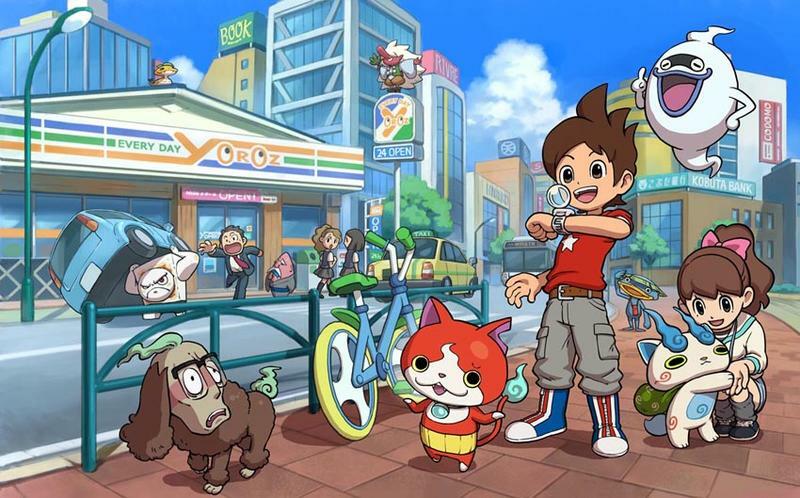 Given Level-5's penchant for delivering exceptional and unique games, we'd love to see Yo-Kai Watch release outside of Japan's borders. We're currently blowing through Inazuma Eleven, a title we'll be reviewing in the coming days, and we're big fans of this developer's catalogue. Plus, Yo-Kai Watch looks like the kind of ridiculous we'd adore. If this one makes it abroad, will you be interested in picking it up?